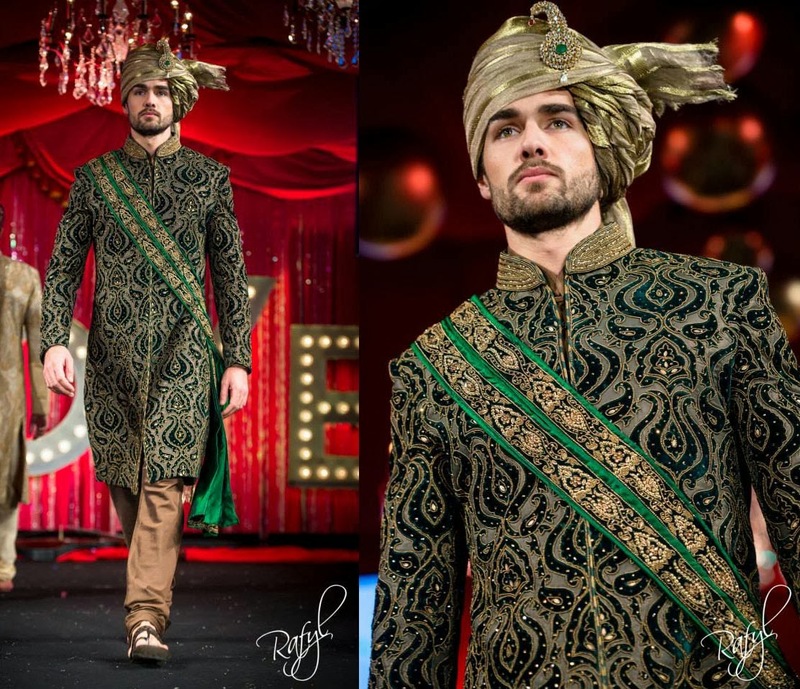 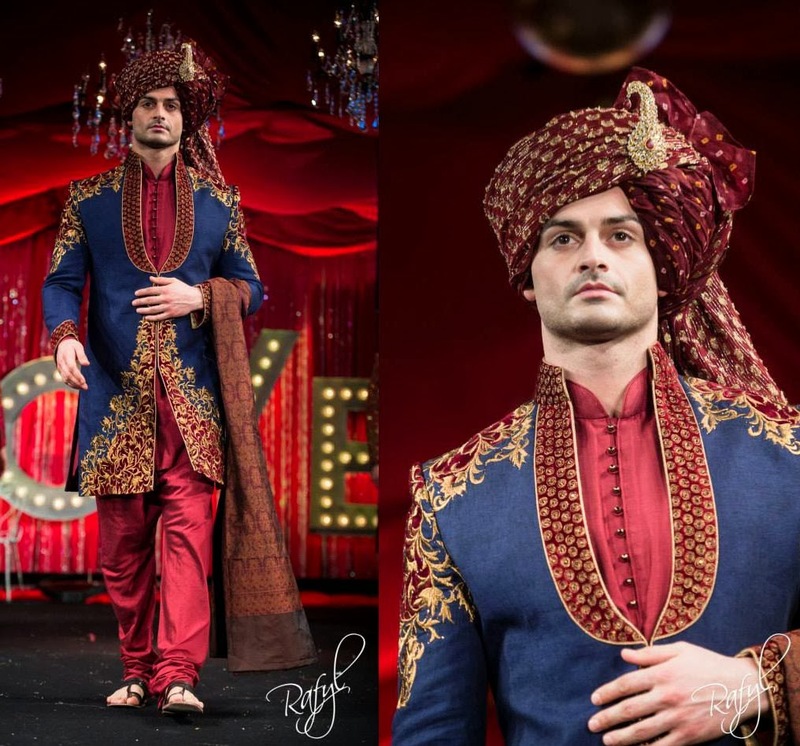 Here's the new collection from Birmingham-based groomswear specialist Ziggi Studio, the "Nazarana" collection was showcased on the catwalk at the 2014 Asiana Bridal Show. 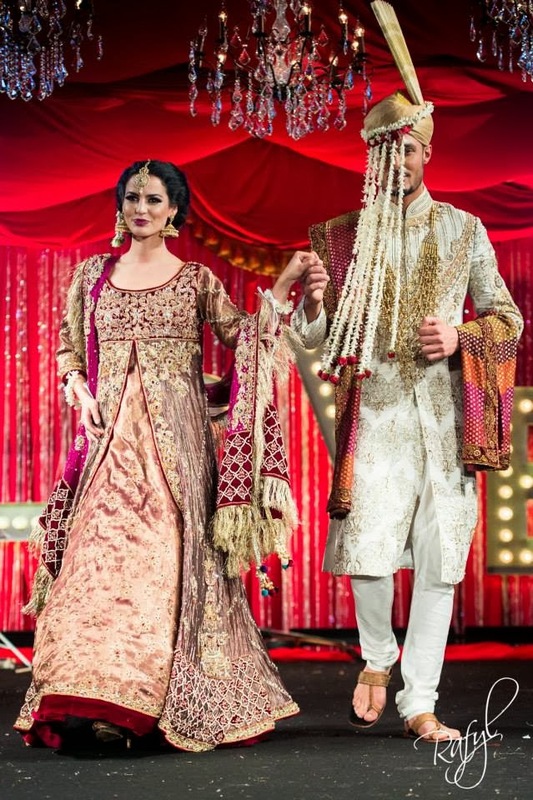 This year Ziggi Studio have also introduced a line of asian bridal outfits which I'll be blogging about in my next post - scroll down to the end to see a preview of one of the pieces from the ladies collection! 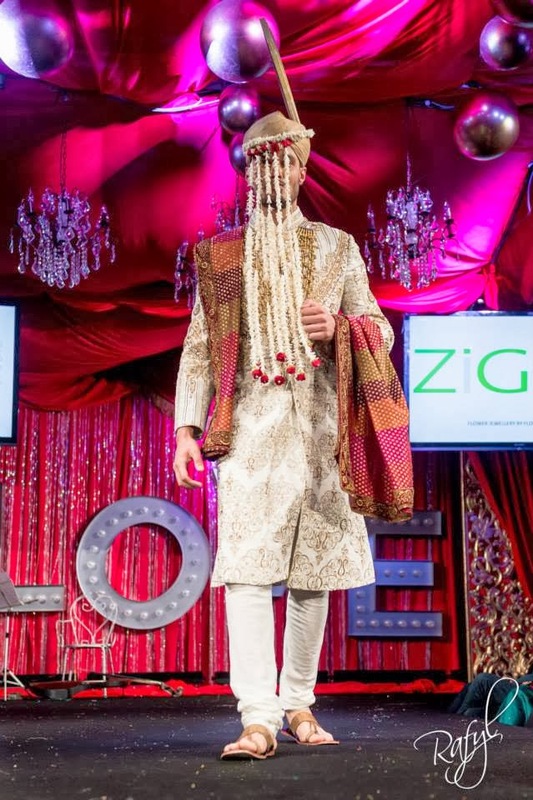 I like the rich colours and bold designs used in this collection, and as with most Ziggi Studio catwalk shows, the outfits are all styled really well. 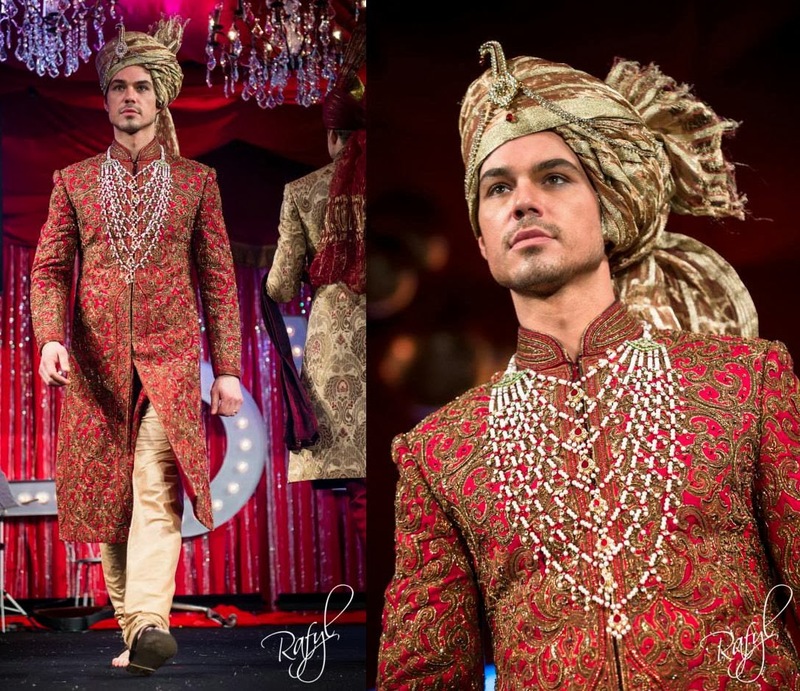 The jewelled necklaces won't be to every groom's taste but the option is there for any grooms that really wants to shine! 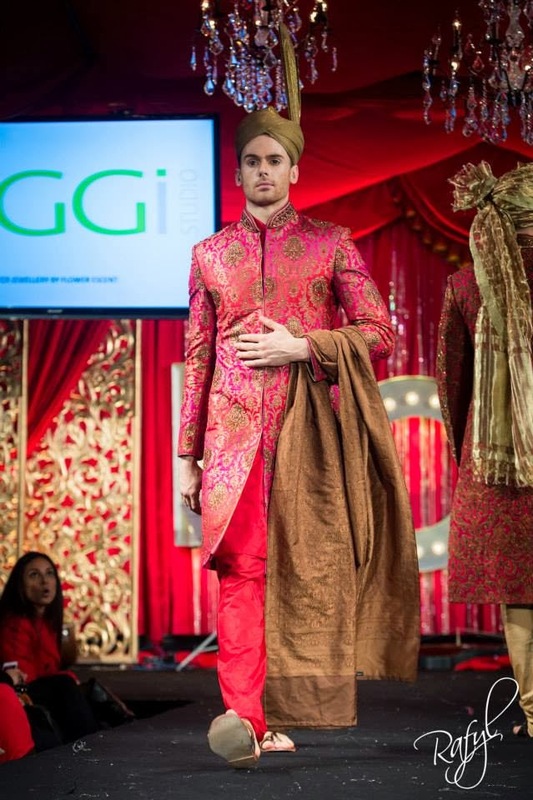 I was really drawn to this hot pink sherwani, I know it would be a very bold choice for a groom to wear this, but I like it and I could picture this being worn next to a bride in a contrasting colour. 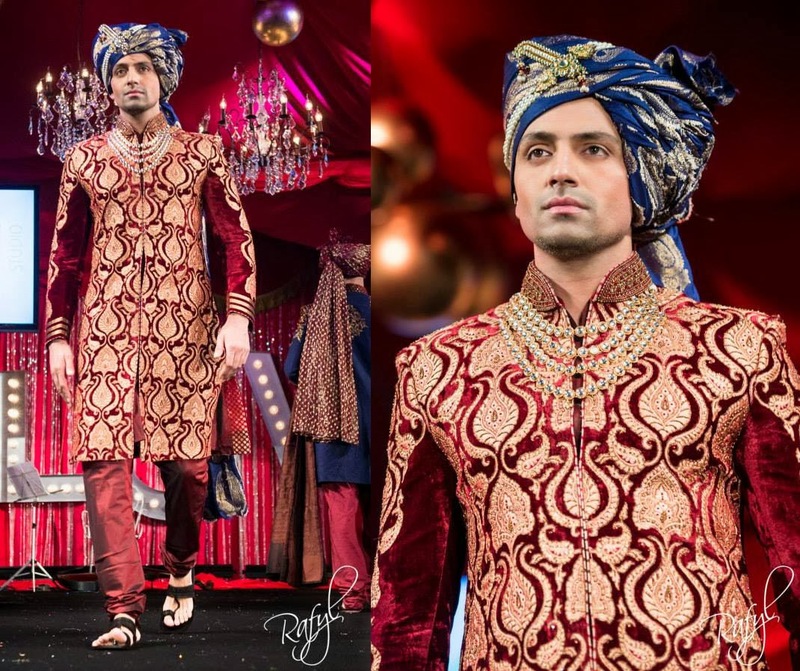 Look out for more from the Nazarana collection in my next post, which will be dedicated to the bridal outfits!